This map of Layton Lake District shows the best locations to hunt and what animals you'll find there. 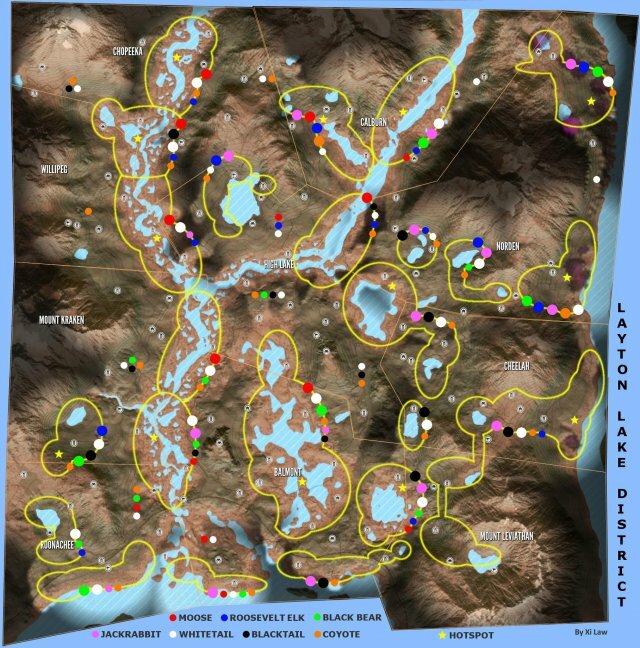 Have a look and you'll know where to hunt if you want to hunt certain species or want to find an overall hotspot for animals. Locations with good animal population are encircled by a yellow line on the map. These spots often have a good view and feature several need zones. 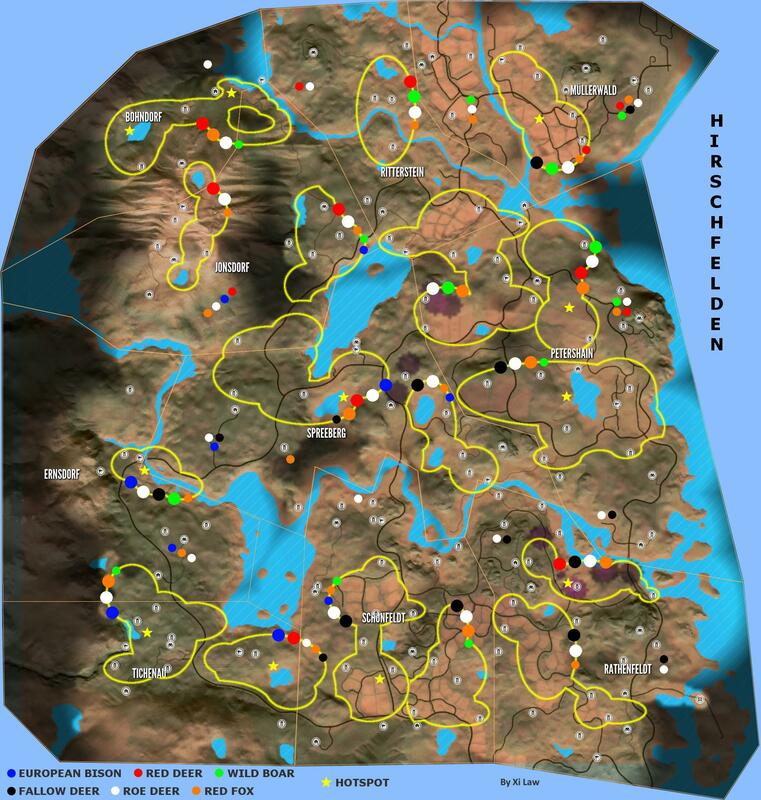 There are colored circles on the border of the yellow lines showing what animals are most common over there. These can be big (very common) or small (common). 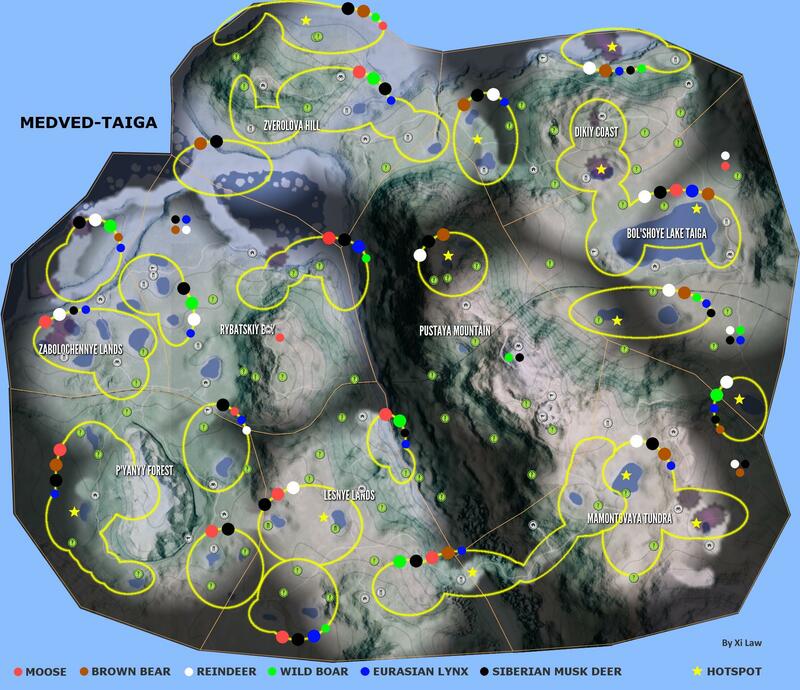 Check the legend at the bottom of the map to find out what color represent each species. The very best spots are marked by a yellow star, usually you'll find plenty of animals over there. Important Note: Animals roam in other locations too and it's possible that you find other species (less common) in a location than shown. But overall this should give you a good impression. Let me know if you have any remarks or improvements. Updated after the release of white-tailed jackrabbit. 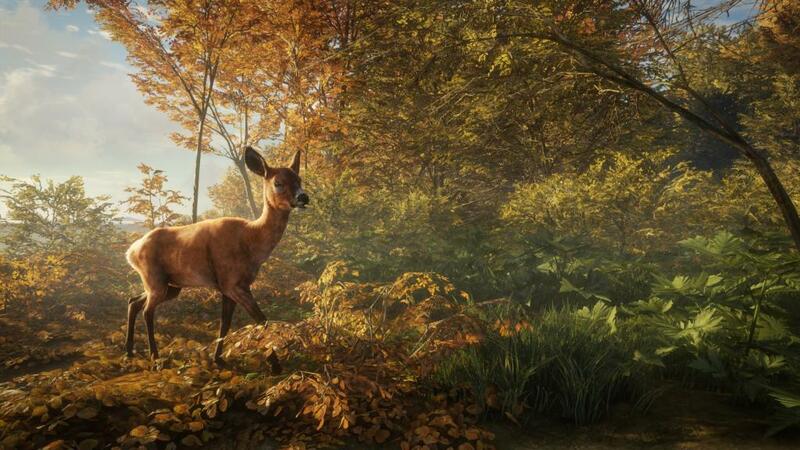 Apart from the addition of the jackrabbits, the locations of other animals have changed as well (mostly Moose). The best locations for Canada Geese are around open fields, so the east half of the map including Schönfeldt.